• Any use of the logo must be granted by UC. • Upon approval of the logo usage, an appropriate logo will be provided to the requester. • This logo may not be altered in any way. • Every logo usage must have an approved application on file or the party will be asked to cease and desist. • Logo application for departments, colleges or JSU entities must be submitted by the department head. • Logos may only be used for promotional items that must first be approved by University Communications. Please select the appropriate logo below or select new to have an official logo created for your area. Please note all logo development will be based on the JSU Style Guide referenced on the right-hand side bar. 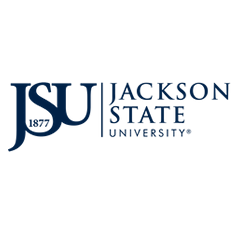 Logo development is for official JSU departments, offices, schools, colleges and/or major events such as Homecoming. Check all boxes that may apply to how the logo will be used. Tell us more about how the logo will be used.